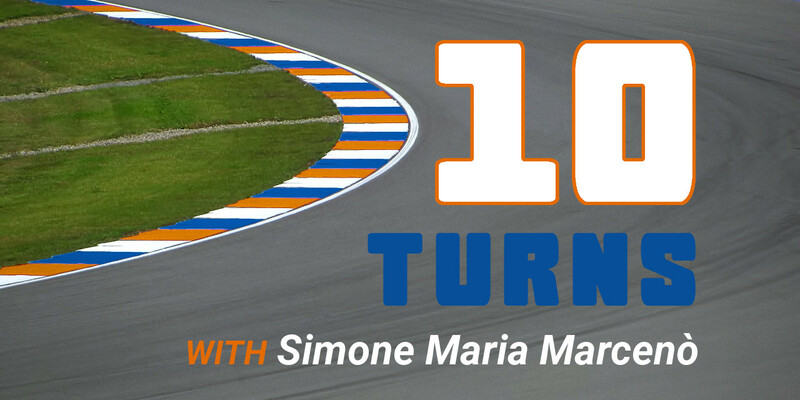 Welcome to the newest edition of 10 Turns here on neo-endurance.com. I’m joined today by Simone Maria Marcenò, who is part of the Logitech G Altus Esports team. They’re new to NEO this season but they won the GT class in the most recent race at Circuit of the Americas. Corey Davis: Simone, thanks for being here. Are you ready to get started? Simone Maria Marcenò: Yes, hello. Thank you for the interview. Yes, I am pretty ready. 1. What is your earliest sim racing memory? Well, my earliest sim racing memory since I got started in the sim racing world was buying a PS3 with Gran Turismo 5. It was in 2011, more or less, in December 2011. I started simply gaming with the joystick, the joypad. And then in April 2012, I bought a Driving Force GT and started the first time attack and the first championship. 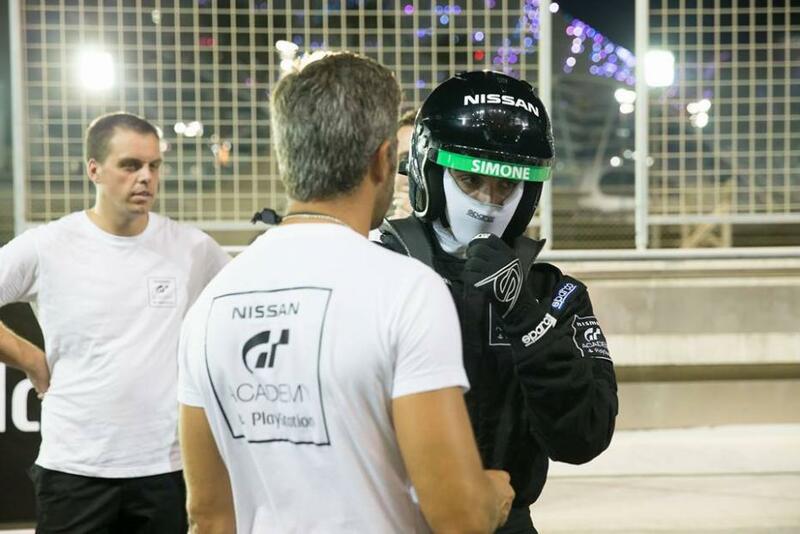 Simone Maria Marcenò at the 2015 GT Academy finals. And how many years have you been on iRacing? I joined iRacing in 2014 but it was just to try it. I have been racing in iRacing since November 2015. 2. What is a fact about yourself that your teammates would be surprised to learn? A fact should be like finding new ways to improve the training, perhaps, for preparing to race, or something like that. Also, things like hardware management, etc. Do you have any examples of training that you’ve come up with? Yes, to me the best way of training is like, don’t do only a little amount of laps but try to do the biggest amount of laps you can, and also consecutive laps just to help the mind memory — muscle memory — get used to the track and the cars in the shortest time as possible. My driving style should be very smooth and not aggressive in terms of driving. But also in terms of wrestling with other cars, try to be the most competitive and the most fair, but also no indecisive moves and no dangerous moves as well. 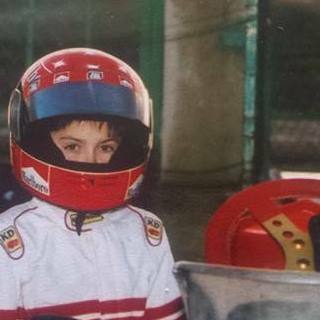 Simone as a child wearing his Michael Schumacher-inspired helmet. 4. What is your favorite real-world racing moment? My favorite real-world racing moment is the Formula 1 last world championship race in Suzuka in 2000 when Ferrari won the world championship title with Michael Schumacher after 21 years. Were you a Michael Schumacher fan? I was as well. I started watching Formula 1 when him and Mika Hakkinen were sort of at each other, so I became a Schumacher fan also. Yes, those years probably were the best of Formula 1 history overall, I am super sure of it. I mean, two of the biggest drivers in terms of experience and race pace, I have to say. So those were very, very good years. And probably those were the years I started to love motorsport and something linkable to it. 5. If you could design a race using any of the content or features on iRacing, what would you pick that would give you the best chance of winning? Well, I’d like to race a GT endurance world championship, like multiclass between GT1 and GT3. I mean, very good cars and not too different in terms of speed between the two categories. Because more or less with the latest LMP1s, traffic management is very, very hard because of the huge difference in speed. And which car would you be in? One of the GT1s or the GT3s? Of course, the GT1. GT1 is something unbelievable. It is also the car and the championship where I started in iRacing so probably that’s why. 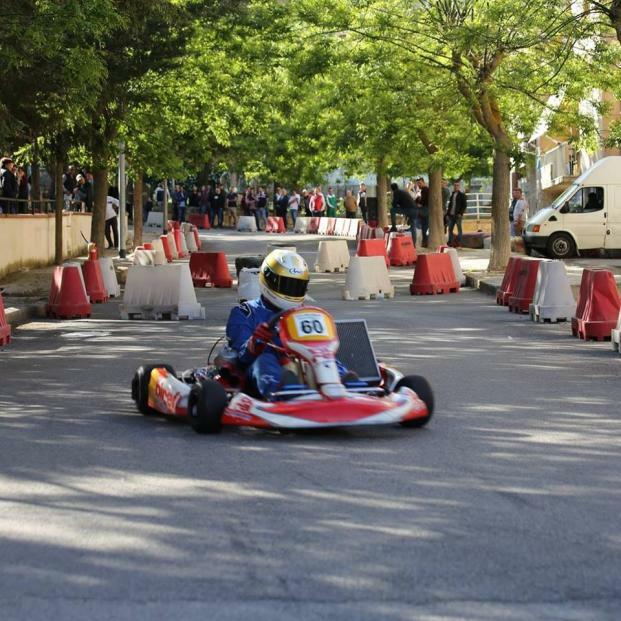 Simone behind the wheel of his kart. 6. What is your go-to meal on the day of an endurance race? I like to eat bananas because it helps me in endurance, and also spaghetti because it gives me luck — my mom’s spaghetti, that always gives me luck. 7. What is the biggest change that you expect to see in the world of sim racing within the next five years? Lately, the sim racing world has been very noticeable. A lot of important special events will be created, and I think probably these years will be a new era, so I think the sim racing world could be only improved in terms of brightness. I am super sure of it. 8. Who is one current driver in NEO that has never been your teammate, but who you’d like to run an endurance race with? The guys in TRITON Racing. I think they are very good, professional. I think they prepare for the races very good. I noticed that Kamil Franczak and Dawid Nowakowski are very good racing drivers. I’d like to race with them or just know how they prepare for the races because, for sure, speed in this kind of racing — endurance racing — doesn’t come from only hot laps. It comes also with very good race preparation, and that TRITON team, I think, do it very, very good. That showed at COTA. You guys finished first and second, so you must be doing something right. Yes, especially because after the six-hour race, we had a four-second gap. That was a very, very close level of racing and it was like six hours of no-management racing. It was simply rush. 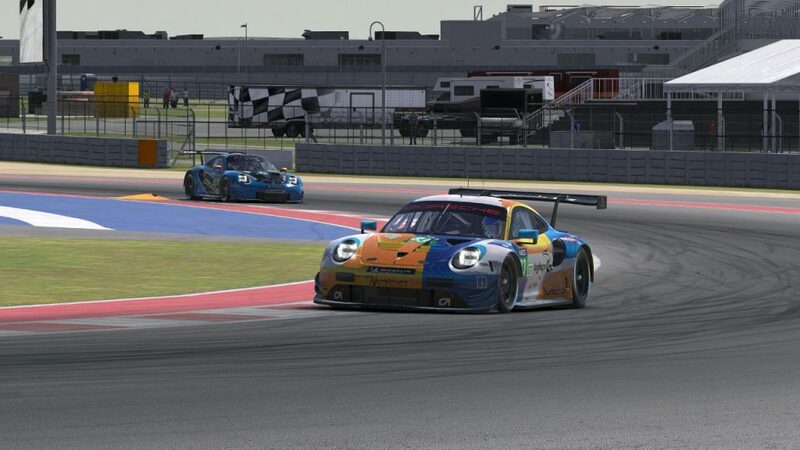 Altus Esports and TRITON Racing battle for the win at COTA. 9. In the last interview, Marcus Hamilton had two questions to ask the next person. First, he had a question about his teammate Frederick Evers. He wanted to know, “is Frederic the best Evers”? Ah, yes, I think so. Also because for a little amount of time, we were teammates. I was in Mivano two years ago, so I think yes, he is the best Evers, in my opinion. Alright. Marcus’s other question was, what is one thing you would change to make NEO an even better series? This is a very hard question because NEO is pretty much one of the best, probably the best sim racing endurance championship. I properly don’t know. Especially this year, the championship, the rules are something that I really like, so I can hardly find some issues overall within the series. I think it’s almost perfect, in my opinion. I barely can find any issues with the rule management or the stewards management, or things like that. 10. Do you have a question I can ask the next person? It should be a driver in either the P1 or P2 classes. Can you guys please reduce the amount of time you simply divebomb from 150 meters, please? Thank you! Haha, I think that should be an interesting answer. That was Simone Maria Marcenò, thanks again to him for joining us. Just a reminder to everyone, next weekend will be the next NEO race, the 6 Hours of Interlagos. Be sure to stay tuned to @NEOendurance on Twitter and here on neo-endurance.com for full coverage from that next racing weekend.